Since 1989 Derek Stuart has worked locally and abroad on a series of varied outdoor pursuits and challenges : Hiking, Trekking, White water rafting, Expedition Kayaking and Surfing around the World. He worked as an Outward Bound Instructor in Zimbabwe as well as a rafting and kayak videographer/photographer from America to Zambia with Nepal, New Zealand, the French Alps, Costa Rica, Uganda and South Africa in particular, being most dear to his heart. 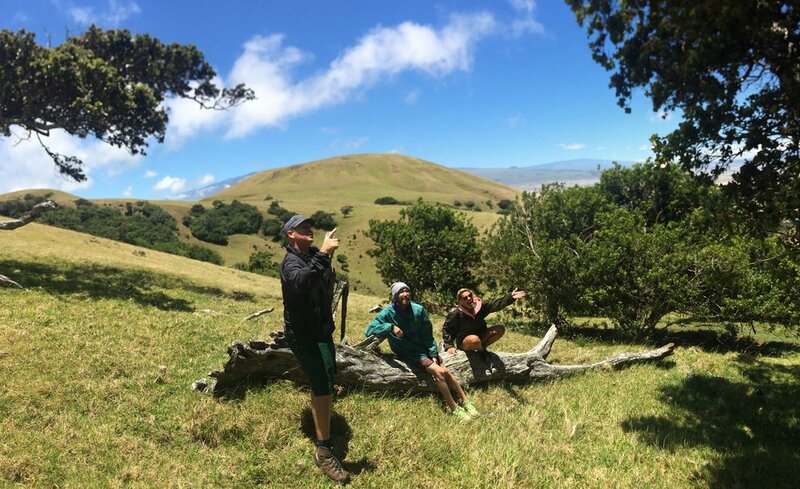 In 2011 Derek started Mega Camp - a young people's outdoor program on Hawaii's Big Island offering outdoor experiences, skills practices and a variety of day adventures. So here at Active Families Hawaii we offer personalized experiences for traveling couples, singles and families as well as private groups. Fancy unique places and off-the-beaten path excursions? We work with you to create the experience you are imagining. From your simple wishes to quirky and extreme ideas. Let's plan your next adventure together! Adventure Travel West, Inc is a receptive tour operator and also a hiking tour company, based in Colorado. Derek has worked for us since September, 2014. We offer hiking tours in the National Parks in the Western USA and Hawaii. Our programs are 8-14 days long. Our tour directors drive the vehicle, guide the walks, and coordinate all services promised to the group. Derek has been guiding our very demanding groups from Britain. Take a look at some of our amazing adventures!